Everyone has done it at one time or another – one minute, you’re relaxing on the couch, watching a movie or an episode of your favorite television show, and the next, you’ve fallen asleep right there. Sometimes it’s just a short doze, other times you wake up to the light of the rising sun. Odds are, if you’ve ever found yourself in this scenario, you also know the side effects of sleeping on the couch: an aching neck and back, not feeling well-rested or refreshed, and wishing you could rewind the clock and sleep in your bed instead. Put simply; couches are designed for sitting, not sleeping. As comfortable as they seem, with soft cushions and plenty of room to stretch out, couches are just not an ideal place to sleep. While high-quality mattresses are designed to provide strategic support to keep your body in proper alignment, couches are simply created for sitting. They’re usually either too soft or too firm and don’t have the specific spring design to prevent you from sinking into the cushions. So, you’ll be far less comfortable and can wake with neck pain, an aching back, and even headaches. A few basic tips for good sleep habits including avoiding television in bed, and not eating in the place that you sleep. For many of us, falling asleep on the couch means doing so with the television on in the background, often after enjoying a late-night snack. This can throw off your bedtime routine, and lead to low-quality sleep and future insomnia issues. Comfortable sleep requires cool, soft bed linens and a dark room, neither of which are probably available when you’re snoozing on the couch. Your chance of waking up because of light, sound, or an uncomfortable temperature go up when you’re on the couch. Get Off the Couch and Into MATTRESS360! 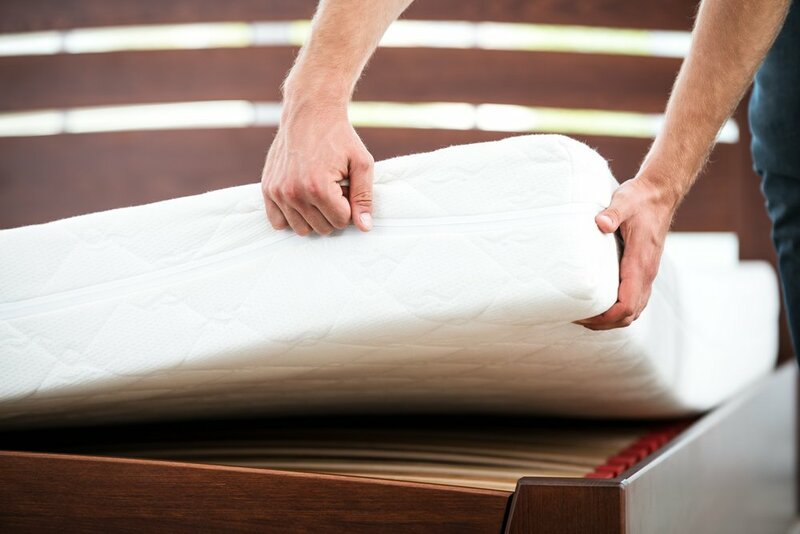 If you’re interested in learning more about good sleep health or are realizing that it’s time to invest in some high-quality sleep essentials, visit MATTRESS360 today. Our knowledgeable team is more than happy to chat with you about your sleep habits, and how we can provide you with the necessities to wake up comfortable and refreshed every morning. Plus, because MATTRESS360 has the best prices in Phoenix, you won’t have to go broke purchasing high-quality sleep products. Visit our showroom today and let us help you design your best night’s sleep. Improve Your Quality of Sleep Today!